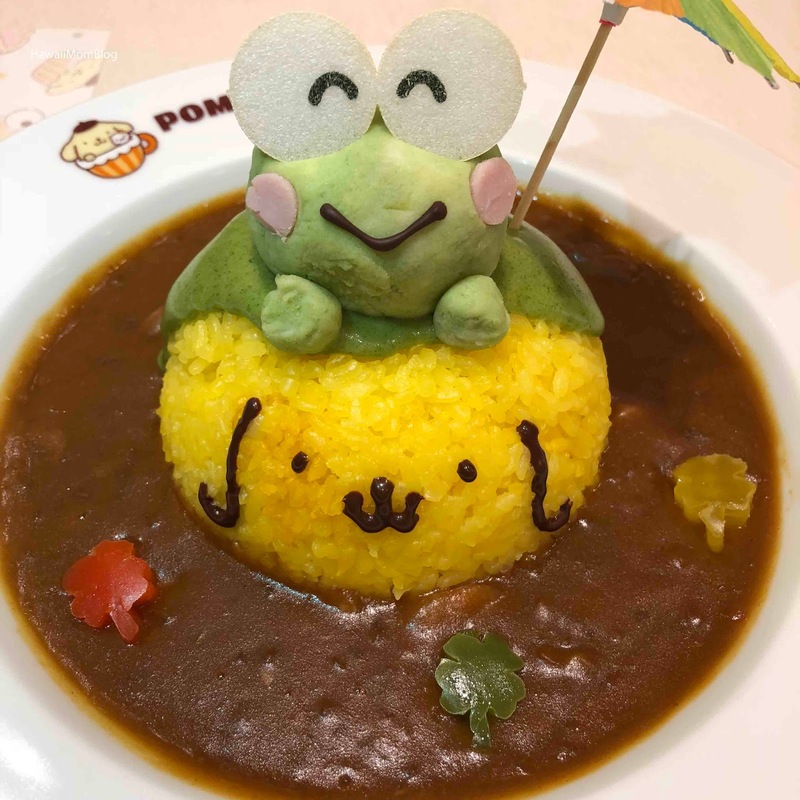 The first restaurant we went to while in Tokyo was Pompompurin Cafe. Located in Harajuku, this cafe, dedicated to the Sanrio character, serves the cutest dishes! 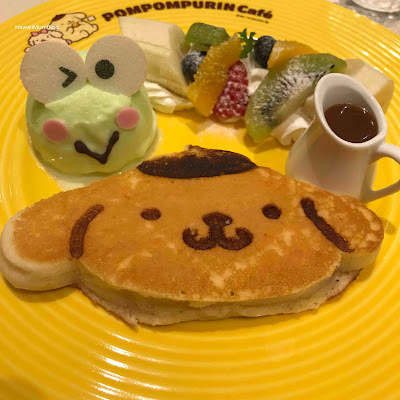 We arrived at the restaurant about 5 minutes before opening time, and there was already a short line. 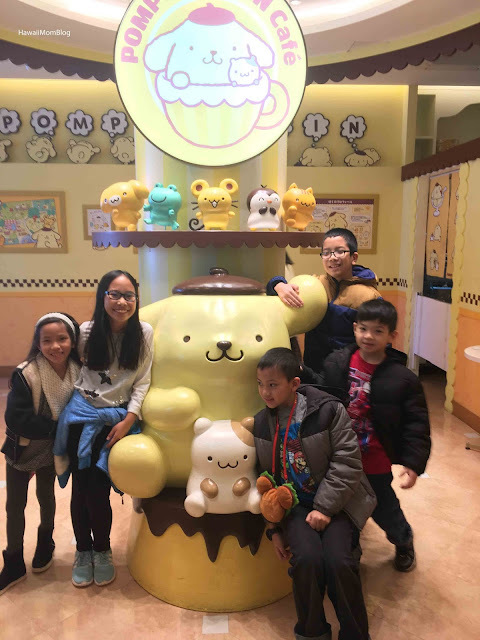 Unfortunately, it took 15 minutes before we were finally seated (I'm assuming the staff wanted to stagger the seating to not overwhelm the kitchen), but once seated, we couldn't wait to order! I had the Fluffy Souffle Omelette Rice with cheese sauce (if you order this dish, you get a souvenir mug!). 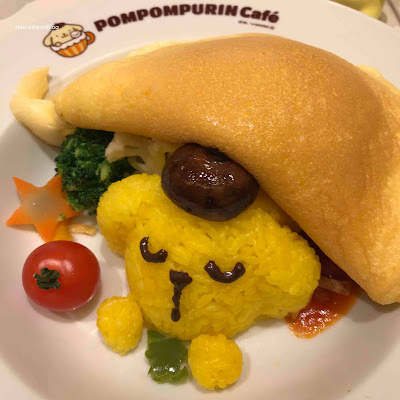 The omelette was indeed super fluffy and souffle-like. 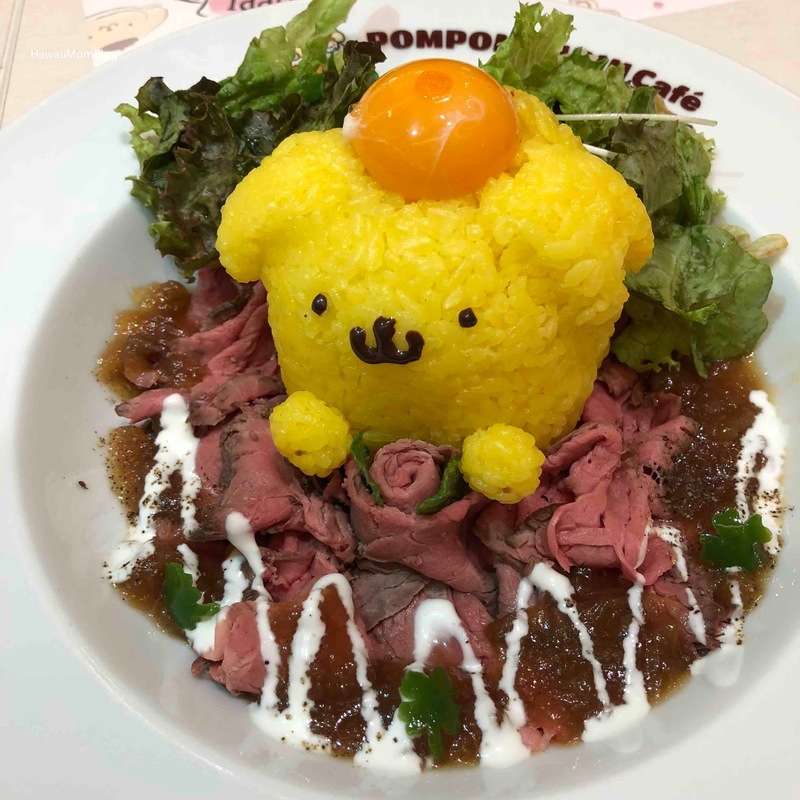 Pompompurin gets his color from saffron! 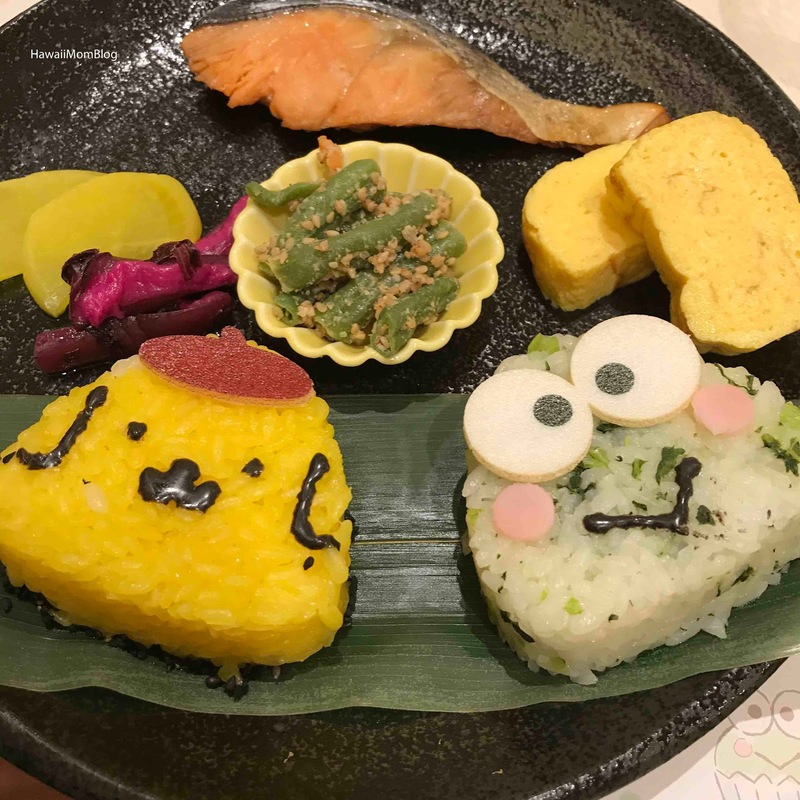 Everyone enjoyed their meals, and the kids were just delighted with how cute everything looked. So much effort was put into the details of each dish - the beef rose, the spinach and mashed potatoes Keroppi, and Pompompurin himself! 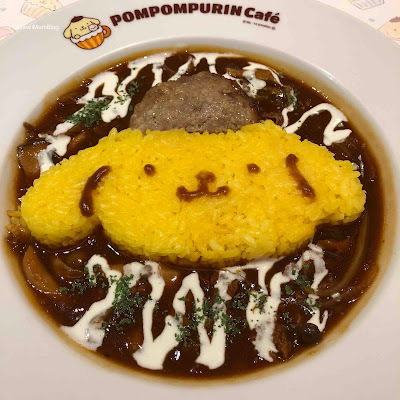 While waiting for your food, you can browse the restaurant for photo ops, or even shop for Pompompurin goods.